Harmon Oaks was founded on principles of community and a passion to educate. Our goal is to give parents the ability to work during the day while feeling at ease, knowing that their children are cared for in a safe, enriching, and care-centered environment. In early toddler care, Harmon Oaks’ highlights daily routines, and believes strongly in the primary care system as the essential structure in fostering healthy attachment and growth within all domains. Nutrition, health, and safety, most fragile at this age, are Harmon Oaks’ principal concern. Acknowledging family as the first and most essential care for the child, Harmon Oaks works with each family to assist with transitioning, potty learning, and introducing curriculum to the young child. Mothers and fathers are welcomed and supported at the facility, and asked to attend community events, and participate through curriculum. Parent involvement can be coordinated with each child's teacher. While Harmon Oaks does not use one developmental care model, our curriculum embraces R.I.E, Reggio, and a number of new early-care child development theories as the foundation of our dynamic curriculum and philosophy. Growing from the immobile to mobile- standing, walking, and crawling give children a different perspective of this new world. As such, the healthy question of “Why?” begins, and the strong “No” becomes a favorite. These curiosities are cherished at Harmon Oaks, as children begin to explore with a unique perspective. Activities are planned, but never have forced outcomes. While preplanned activities, or invitations, have set and appropriate objectives, they are still flexible, open-ended, and creative. In a simple statement from our founder, “Let’s not force our children to color grass green or paint the clouds blue. 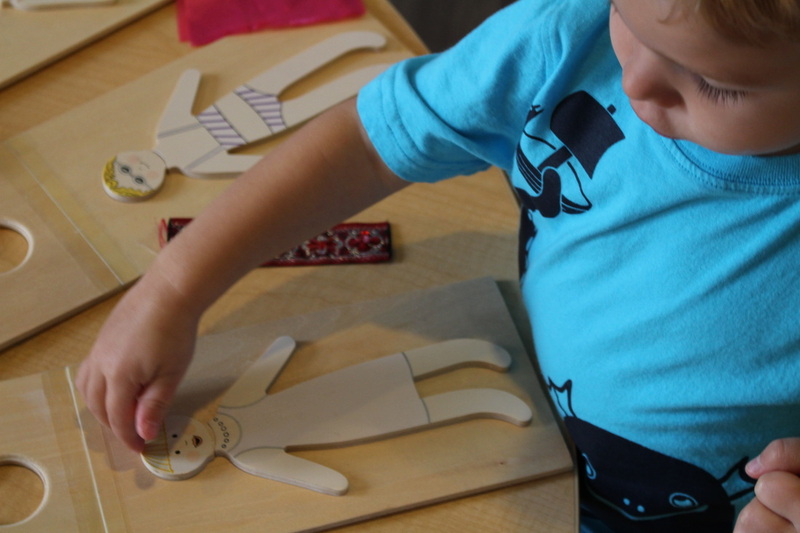 Let's ask them to look up at the sky and down at the grass, but ultimately make their own decision.” What one child will do with yarn and construction paper may be very different from another child. Creativity is not an innate quality that one is born with; creativity is fostered and very much developed. Learning seems to take place at a rapid rate, where every new day brings new words, new ideas, and new obstacles to learn from. At Harmon Oaks we recognize that children not only learn at many different rates, but also in many different ways. 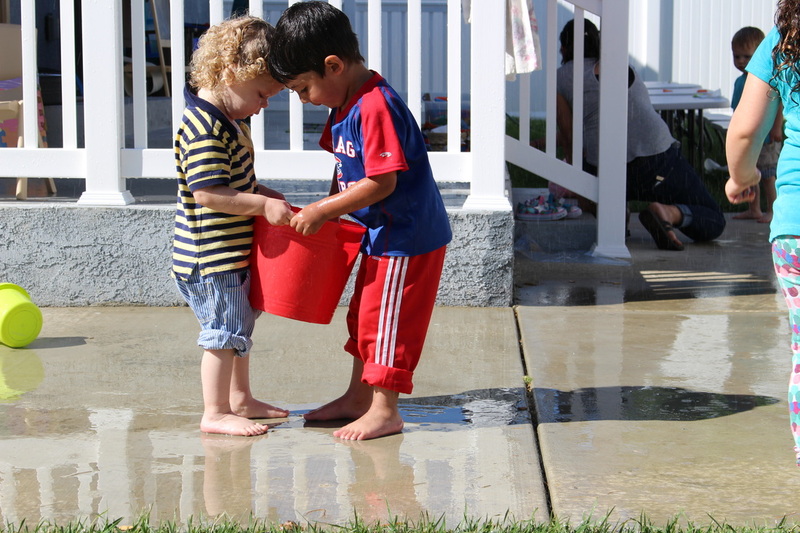 Through play and daily class time, children begin to recognize structure at an early age. As they grow and mature, the curriculum gradually accelerates to foster the potential of each child. 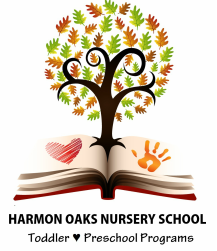 Harmon Oaks emphasizes core curriculum within the preschool program, highlighting literacy as well as the math and sciences, through nature and the simplicity of play combined with structured and developmentally appropriate activities. We enjoy creating invitations to discover a new concept through multiple faucets of play- art, nature, manipulatives, dramatic stations, sensory discovery, small world resources, books, music, and gross motor play. Follow Us on Instagram @HarmonOAks to learn more about our daily curriculum and overall philosophy.